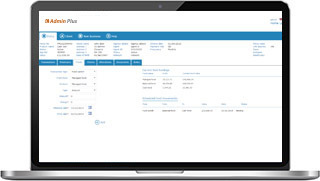 Admin Plus is a highly flexible, scalable, web-based policy administration SaaS solution for the life, pensions, annuities, and wealth management sectors that supports the full policy lifecycle. It also supports the full range of protection products, i.e. critical illness, term, whole of life, endowment assurance, and permanent health insurance. Admin Plus has been designed to support multi-channel distribution, B2B & B2C, end- to-end sales and service processing. Its open and modern Service Oriented Architecture allows for easy integration to external third party and/or proprietary systems. Admin Plus supports all aspects of the policy lifecycle from quotation to policy issue, policy servicing and right through to payment of a claim or policy expiry. Getting the best from your team Short on time? Watch our quick Admin Plus explainer video to find out how Admin Plus can help your business. This video is the perfect introduction to the Admin Plus solution and is ideal for sharing with other people on your team who are looking to upgrade to the best policy administration system on the market. Admin Plus has been designed to support multi-channel distribution, end-to-end sales and service processing, and to enhance customer service. A set of well-defined interfaces enables integration to all standard external systems such as payments systems and general ledger systems. With industry leading levels of configurability, Admin Plus supports all front office and back office functionality including: Product Configuration, Quotations & Illustrations, E-Applications, Policy Servicing, Claims & Payments, and Agency & Commissions. Ageing life and pensions administration systems can be prohibitively costly to replace. However, Admin Plus does not require a major overhaul of your existing systems. Admin Plus’s modern component based architecture allows you to replace legacy functionality in a measured and low risk manner and enjoy the benefits in as little as 20 weeks. Industry leading levels of configuration provide you with high levels of self-sufficiency and reduces dependency on external vendors. 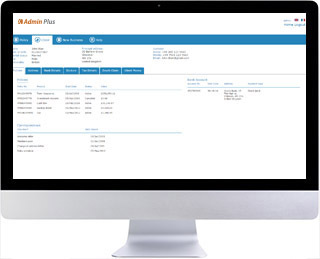 Admin Plus is an end-to-end solution with pre-defined configurations supporting multi-product lines. “Exaxe consultants have provided business analysis, project management and programme management skills. We initially chose them as a partner because of their expertise in the life and pensions industry coupled with their project management and business analysis skills meant they hit the ground running and allowed us to achieve speedier results. We always find that Exaxe consultants approach each engagement in a professional manner and make real efforts to understand our needs”.